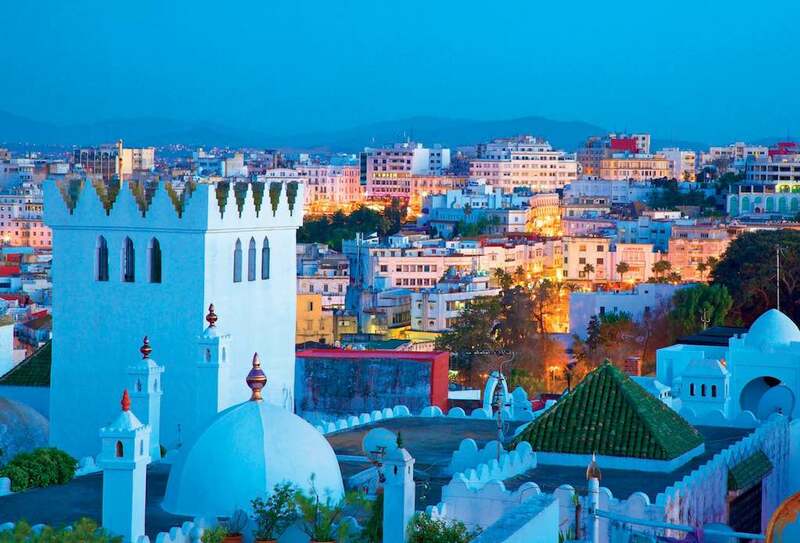 Morocco is full of stunning cities each with a story to tell. Today, we’re going to take you through everything you need to know about Essaouira or, as it’s affectionately known, the ‘Windy City’. Once you couple the wind with sublime beaches and fantastic waters, you have a recipe for kiteboarding, windsurfing, and many other watersports… Let’s see! With dual heritage, the city was once a Portuguese fortress and the combination of Moroccan and European traditions and architecture can be seen throughout the location. 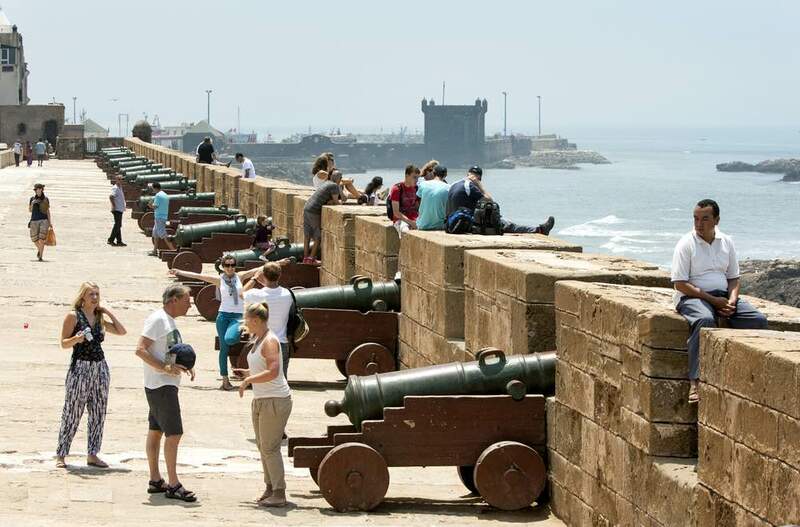 Previously named ‘Mogador’, Essaouira still boasts cannons pointing out to sea and many other relics to pique the interest as you walk around. Despite the European influence, the city is typically Moroccan and this can be seen (and heard) with the Gnaoua singing, beautiful palm trees next to white houses, and women in white haiks. Today, we’re going to dig deep into the heart of Essaouira so you have all the information you need before visiting. In truth, there are options aplenty for accommodation in Essaouira with numerous traditional riads depending on whether you want views of the ocean or to be close to the Medina. If you prefer a more modern stay, there are also various four and five-star hotels around the city. 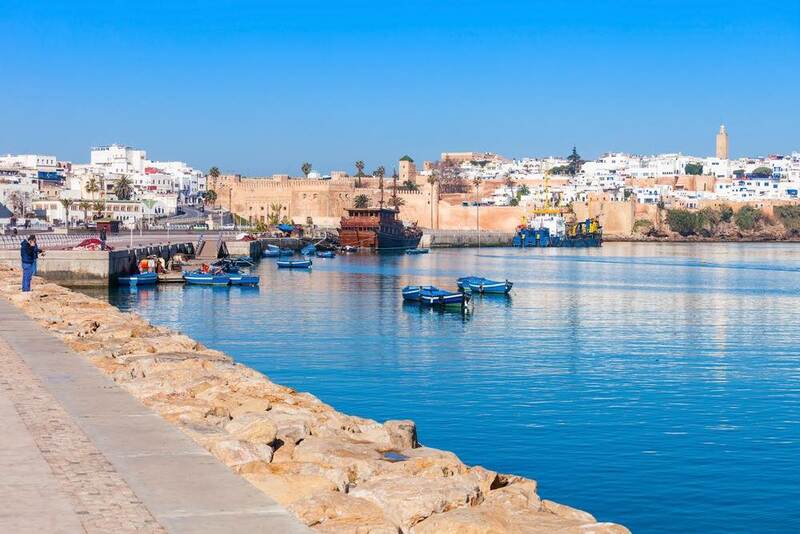 If you’re travelling from the UK, you can fly directly to Essaouira Mogador Airport thanks to a new route from London Luton Airport. In years gone by, those looking to explore Essaouira had to travel to Marrakech before finishing the journey by road. 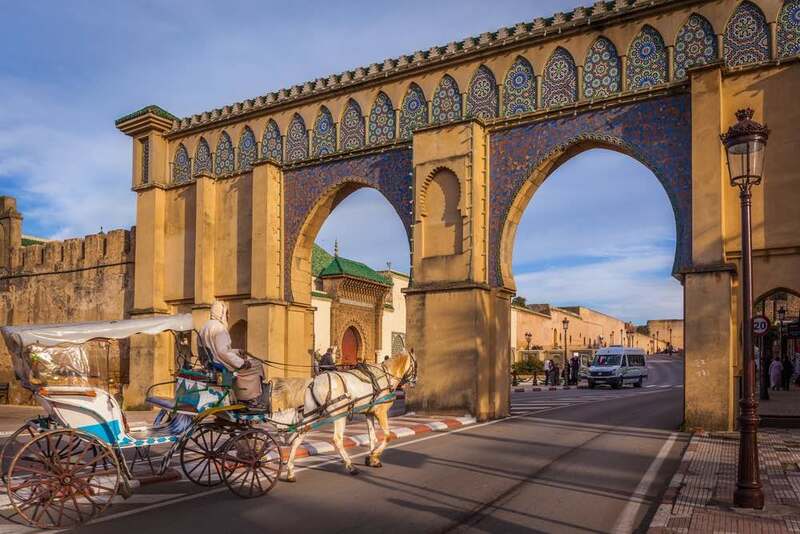 If you want to visit the great Marrakech after arriving, this won’t be an issue since you can hire a car or travel by bus, coach, taxi, or with the tourist transfer service; all things considered, it should take around two and a half hours. As mentioned previously, the history of Essaouira plays a very important role in the city. As a former Portuguese enclave, the European influence adds to the natural African traditions. If you’re looking for things to do when you arrive, we highly recommend the Mogador Cultural Centre. Shaped like a seagull enjoying the winds, the BBC called it ‘daring and innovative’. Nowadays, it tells a story and has regular musicals and other shows. If you’re visiting in June, the Gnaoua Festival should give you a taste of the local music. As well as music, you can enjoy acrobatics, dancing, and a whole lot more but we’ll discuss this in more detail a little later. With Essaouira offering plenty of heat and sunshine, it won’t be long before you go looking for a beach. Fortunately, the Essaouira beaches are stunningly majestic with the golden sand complemented by the vibrant blue Atlantic waters. With miles of open sand and plenty of wind for those who enjoy watersports, you’ll even find many classes and hire shops if you want some help getting started. If you prefer to stay dry on the beach, why not soak up the sun with a Frisbee, some football, or a ride on a camel or horse? With a city full of history and stories, we believe cycling to be a great way to explore everything and really get your money’s worth. From the outside, many say Essaouira looks like a French town but cycling through the winding streets and whitewashed houses will tell a different story. Further out of town, you can breathe in the salt water air on almond tree-lined paths. Wherever you go, your nostrils will be filled with all sorts of spices while your ears take in the Gnaoua singing. With this in mind, it really is a thrill for the senses. If you prefer a mountain bike and the beaten track, the Atlas mountains aren’t far away; not to mention the challenge that many tourists cannot complete. Known as Djebel Hadid: the Mountain of Iron, this will test even the most experienced riders. When visiting a new city, the food is one of the best ways to get a taste (excuse the pun!) of the culture. If you want to eat like a local, you should head towards the port where you’ll have access to fresh catches every day from lobsters to sardines and everything in between. In some restaurants, you can choose your fresh catch and sit back and relax while they prepare it for you. Of course, you can’t have a taste of the sea every day and more formal restaurants can be found along the coastline and on the outskirts of town. Despite the seemingly impossible challenge to keep children entertained on holiday, parents will be in heaven in Essaouira whether it’s historical days you need or activity days, sports days, food days, play days, etc. As you move away from the city centre, you can actually find some really fun trails and opportunities to ride horses and quad bikes (what children don’t want to ride on a quad bike?). As we saw earlier, Essaouira is a kitesurfer’s dream and it’s actually considered the ‘kitesurfing capital of Morocco’; with this tag, you know you’re in the right place. In addition to attracting hobbyists, it also attracts the professionals as the city has hosted the World Cup on more than one occasion. Not only do the winds flow from the North East, they combine with winds from the Canary Current to provide the right conditions for beginners and experts alike. Unlike in the UK, the conditions remain consistent all day so you can utilize the large beach and spend whole days by the sea. If you forget any equipment or need help, feel free to ask one of the local hire shops. While on the topic of hire shops, Essaouira has taken advantage of the natural conditions by opening several shops and schools for the less experienced. In fact, you can book a kitesurfing holiday including everything you need from airport transfers to valuable advice. From kitesurfing to surfing, the conditions required for each are actually very different which makes surfing much harder. However, there will be breaks in the wind in the mornings and evenings so it isn’t impossible. If surfing is one of the main reasons you’re visiting, we recommend booking in the winter because the beaches are quieter and the waves are more enjoyable. If you want a surfing secret, look up ‘Sidi Kaouki’ found a little way down the coast (you’re welcome!). Traditionally, the hammams found in Essaouira were for sailors after weeks at sea but they’re now open to all locals and tourists. Normally, when on vacation, we put our skin through quite a lot of stress, but hammams can help to detox and keep your skin healthy despite the salty waters and rays from the sun. With hammams all over the city, it shouldn’t be hard to find one nearby; and if you’re struggling, ask a local for directions. Nowadays, all major hotels will have a hammam in place where you will meet the tourists all walking with towels over their shoulders! If you were to ask a travel agent about Essaouira, their immediate reaction is likely to be ‘kitesurfing’, but the city has been through different phases over time. With the rugged walls of the city border, you’ll learn about the struggles of the past and the combination of architecture we’ve discussed will become more obvious as you discover more of the city. If it’s history you’re looking for, we recommend the Medina which is actually now a UNESCO World Heritage Site (one of nine in Morocco). As you walk through the old gates guarding the site, you’ll be struck by historical features and this is epitomised with the nineteen bronze cannons. After this, be sure to visit the souks, synagogues, churches, and watch out for the ornate carvings on walls and doors. Every year, Essaouira has three fantastic music festivals that draw in crowds from all over the country and the world. Mainly, the Gnaoua World Music Festival attracts half a million people each year. As a four-day event, you can enjoy music from Africa as well as the spiritual rhythms of Islam. If you prefer classical music, the Printemps Musical des Alizes Festival is the one for you. Full of operas and sonatas, it gives an amazing insight into how people respond to music on the other side of the world. Early in the morning, relatively unknown artists hit the stage before the more famous orchestras and artists appear later in the day. Finally, autumn plays host to the Atlantic Andalusia Festival which celebrates all things Moroccan and Spanish. Just to add to the fun, you can also enjoy the odd Latin American and Mediterranean influence too. Earlier, we mentioned the senses and you’ll feel in a different world in Essaouira; this is experienced with the smells as well as the sights and sounds. As the sea breeze drifts inwards, you’ll smell spices, fresh fish, salt, and more as you shop the Moroccan streets. If you stay in Essaouira, you’ll be near plenty of indoor markets (souks) so take advantage and see what you find. Inside, you can find dozens of tiny shops being cared for by descendants of the original owners. From silverware to clothing, get your haggling cap on and enjoy what’s on offer. What if you want to get away from the hustle and bustle of the city? Well, we recommend sticking close to the coast. With the locals and tourists alike, it seems a natural instinct to head towards the water for relaxation. Whether you want to sit and watch the glistening waves or perhaps practice some yoga with the sea air cleansing your system, the seaside has it all. Additionally, it gives you an opportunity to leave all technology at the hotel and just realign yourself with nature once again. If you’ve got a good book on the go, we can’t imagine a better way to rid yourself of all stress than to let your senses soak in Essaouira while delving into a story. Finally, we don’t want to spend all of the trip sitting down, so trekking provides a good opportunity to get the blood pumping around the body. From experience, we recommend starting in Essaouira on a trekking holiday because there’s plenty to do for all ages. Nowadays, you’ll find several trekking companies in Essaouira who know the area like the back of their hand and can, therefore, take you on a beautiful journey from start to finish. In addition to this, you don’t have to worry about equipment, and you can also learn about the history of the town as you trek. Over a period of days, you can go where tourists don’t usually go including the untouched Amazigh villages. If you’re getting tired, the company might even have a camel ride planned. If you’ve chosen Essaouira this year, you’ve made a fantastic decision and we hope to have helped you here today. If you’re still considering where to go, Essaouira, and Morocco, in general, is severely underrated considering the fascinating experiences you can have from the food to the culture.